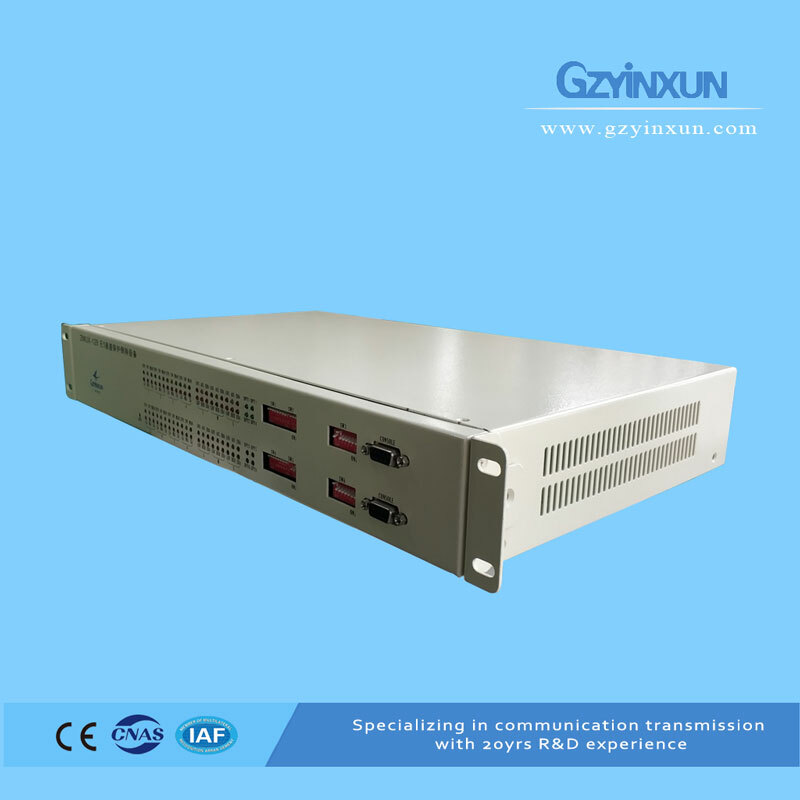 ZMUX-128 is a kind of E1 protection switching equipment(E1保护倒换设备), adopt 19 inches, 2U height chassis design, can achieve automatic switching function to two groups of different routes of E1 signal(line), meet 16 channels of E1 line protection and transmission of 8 channels of important E1 signal. 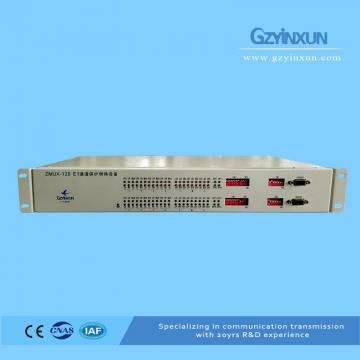 ZMUX-128 is designed with 4 pieces of DB37 connectors, two of DB37 connectors can offer 8 channels of master E1 interface and 8 channels of spare E1 interface, another two DB37 connector can offer 8 channels of important user E1 interface, complete 8 channels of important E1 signal protection function through access of E1 line offered by two different routes. 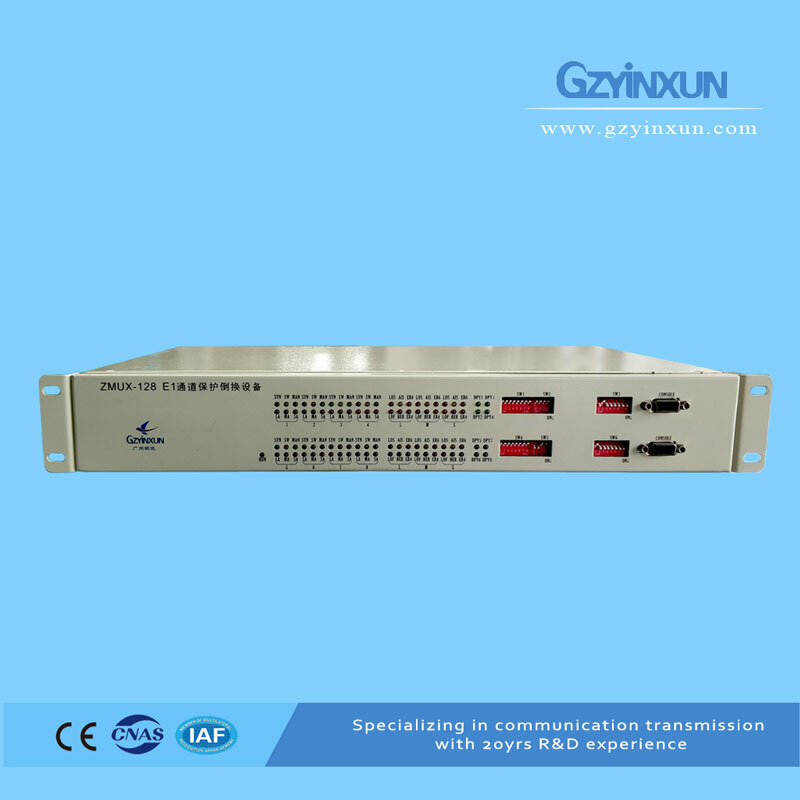 optional DC-48V or AC220V power supply, optional double power supply input 1+1 protection; Local side equipment, remote side equipment, each set of equipment could offer two pieces of power boards which can work utterly and independently, master and spare protection. 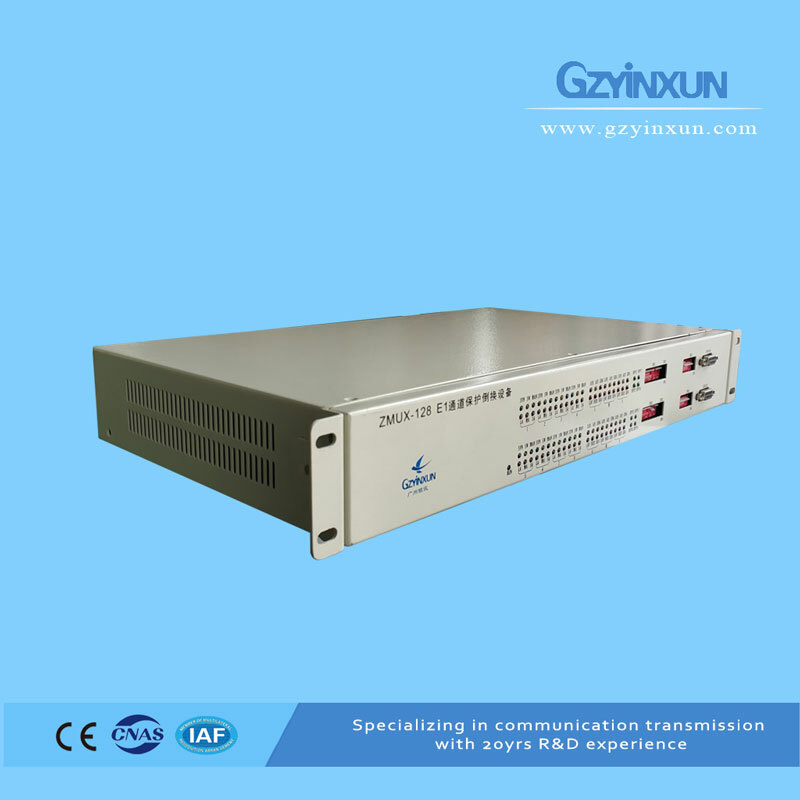 support real time monitoring function of power board work state for local side equipment and remote equipment, support real time monitoring function of work state for external EMERMON switch power. optional centralized NMS monitoring function.